iDealwine is a community of 500,000 wine lovers. With members in 120 different countries and offices in Hong Kong and London, the company has a strong international presence. iDealwine was founded by Cyrille Jomand, Angélique de Lencquesaing and Lionel Cuenca. Thirty employees currently work for iDealwine. Lesoir.be - Marc Roisin (March 2016): Launched in 2000 by three former executives of Euronext (Paris Stock Exchange), iDealwine.com offers a secure platform to purchase and resale of great wines as well as a unique range to manage and estimate your wines. You will have understood it, this platform is for enthusiasts, who are always looking for rare wines or manage their cellars as a real treasure. Les Echos (December 2015): Angélique de Lencquesaing, Cyril Jomand, Lionel Cuenca - Based on the results of the French auctions for more than twenty years, the online sales platform iDealwine has designed a wine list that today references 60,000 labels, free, accessible via the site and the application iDealwine, giving the value of wine to any enthusiast, seller, buyer or simple curious. RVF n°595 - Florentine Mähler-Besse (October 2015): iDealwine is a "historic" and essential actor for mature vintages on Internet. [...] This site is a mine of information for more mature vintages. The Wine Price Estimate with the iDeal indices (by cru) and WineDex (by region) indices and the blog attract connoisseurs. iDealwine offers a number of references of mature vintages that is impressive. The bottles come from French or Belgian cellars. And each of them is assessed to ensure its condition and authenticity before being offered for sale under the control of two auctioneers. [...] A website of passionate people, outstanding in the world of online sales. Welcome to iDealwine, the international expert in estimating, buying and selling wine at online auction and fixed-price sales. Take advantage of the knowledge and experience of a company established more than 15 years ago by market specialists. iDealwine is now France's leading online auction house for fine wines (second in the world ) and a key player in the world of fixed-price direct sales. For more information about iDealwine, click here. If you are a new user, create an account in a few clicks and add your details (address, payment details). You can now buy and bid! Once you have placed your bids (at auction) or bought wine (at fixed-price), you simply need to wait for the end of the sale (between 10 and 15 days max) for payment. Go to My account > My orders. Then select Collect (in our warehouse outside Paris), Deliver or Wait for consolidation (if you want to combine with future orders). In addition to wine sales, iDealwine offers many free services to registered members including wine price estimates, auction reports, vintage analysis and ratings. Access France&apos;s leading online auctioneer for fine wines: a huge choice of crus and vintages with the guarantee and security of an established auction house. Access fixed-price sales: a unique selection sourced directly from our partner producers, well-known estates and rising stars. Create alerts for specific wines: receive information about price changes if you are thinking about selling a wine, or the availability of a wine you want to buy. iDealwine free price estimates: over 60,000 references with weekly price updates generated from top French auction results (including iDealwine). Have your wines estimated by our specialists: get a free estimate in less than a week. A tailor-made service: collection of your wine, sale and shipment to the buyer: iDealwine takes care of everything! iDealwine is a unique platform offering wines from the best appellations of the world and a range of vintages often spanning a century. You can access them either through auction (private cellars) or fixed-price sales (where most wines come directly from our partner domains). 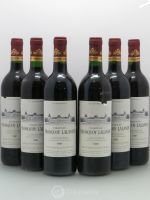 Buying on iDealwine, France's leading online auction house for fine wines, has never been easier! It takes a few clicks to register and bid while enjoying the same guarantees as any other traditional auction house: wine appraisal, authentication and the services of an auctioneer to ensure consistency and the proper sale process. Online auctions follow the same principles and processes as classic, in-room auction houses and offer the same guarantees of authentication, product appraisal and payment security. Auctions are managed by the legal entity IWA Auction, a subsidiary of iDealwine, and approved by the the French public auction regulation authority, the CVV (Conseil des ventes volontaires). IWA Auction guarantees the authenticity and conformity of the wine with its description and the proper process of the auction. Are wines sold at auction examined and authenticated? All products we sell at auction are checked carefully by our specialist team to avoid counterfeit wines or conditions that might put the quality of a wine at risk. Our specialists check the level, the label and the cork; they also review the condition of the cellar where they were stored. Bottles sold at auction come from fine wine lovers, trade and private individuals who value the importance of cellaring their wines in the best possible conditions. How do auctions work on iDealwine? The bidding process is fully electronic. At closure of the sale, the highest bidder for each lot becomes the successful bidder/buyer. To place a bid you simply need to indicate and confirm your maximum bid. The reserve price is the minimum price the seller will accept. It often corresponds to the lowest estimate for the lot. Bidding increments correspond to the minimum amount for the next bid. For example, if the current price of a lot is below €50, the bidding increment will be €3; between €50 and €100, it will be €15, and so forth. You can set the maximum price you are willing to bid for a lot. This price (not visible to other buyers) will only be reached if others try to outbid you. As other customers bid, your price will increase, progressively and automatically, up to the maximum amount set. There is no need for you to follow the bidding. The buyer will be charged a premium of 21,6% including tax (18% ex-tax) on the final bid price. I wish to collect my bottles directly or send a forwarder at iDealwine without paying delivery charges. Is this possible? Yes indeed, collecting your wines directly or via a forwarder is possible. However some rules need to be respected. You must book an appointment at least 72 hours in advance, collect your wine from Monday to Friday from 9am to 5.30pm and have previously paid for your invoices online. iDealwine warehouse is located in the outskirt of Paris, in Colombes (92700), 190 rue d&apos;Estienne d&apos;Orves. To book an appointment, please contact customer service by e-mail: info@idealwine.com. or telephone at +33 1 56 05 86 10 (English speaking). The collection of all wines must be made within 30 days after the order. Beyond this deadline, you’ll be charged for storage fees: €0.035 per day and per bottle. The wine will be given to the buyer or the authorized representative providing he can show a written proxy and a copy of his/her ID. iDealwine organises several themed or general fixed-price sales every month. Unlike auctions, prices are set. Our sourcing team is busy identifying, building and developing long term relationships with the best producers and estates. Wines are bought directly from our network of over 250 estates and a few vintners (especially for Bordeaux grands crus). How do fixed-price sales work? These sales (no bidding) last between 10 and 15 days, and follow the rule of "first come, first served". To be sure that the wines you are looking for are available we recommend that you act quickly. Once registered, simply select the quantity and click on BUY. All prices indicated are inclusive of VAT. You won’t have to pay any extra commission. iDealwine guarantees that wines match their catalogue descriptions. Do I need to pay anything before bidding? At auction, bidding is free but binding. To bid, you simply need to be registered with your payment details. When do I need to pay for my orders? Auction: At the end of the sale, iDealwine will summarise your successful bids in a single email entitled "iDealwine - Auction Results". You can then pay for your bids and organise collection or delivery. Fixed-Price: After placing your order, you will receive confirmation in an email entitled iDealwine - Fixed Price Sale Order Confirmation. If you have bought several lots in the same sale, iDealwine will group your orders in a single order. You can then pay for your wines and organise collection or delivery. You can pay for your orders by credit card, or another payment method. Choose how to pay when registering on iDealwine. At the end of each sale, go to the payment and shipping section in My iDealwine to pay. Payment by credit card: Payment is made in a secure area of the website. See section "Is the iDealwine website secured?" Note: if you prefer not to enter your credit card details online, you can opt for "other payment methods when registering. See below. You can also pay by cash or bank transfer (for all users). To do so, you will need to fill in this form, click there and send us your IBAN details and a copy of your ID card or passport. 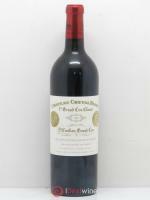 Upon receipt, iDealwine will confirm that you may bid at auction or buy at our fixed-price sales. Please note that this process may take a few days (for immediate access, opt for credit card payment). Note: at auction, bids are binding, we therefore need your payment details. Can I combine orders from different sales? Is the iDealwine website secured? Payments made on iDealwine are entirely secured. For all payments by credit card, iDealwine uses the secured payment solution developed by Société Générale: SOGENACTIF. iDealwine does not retain any information on its customers&apos; credit cards. All data are encrypted with the SSL protocole (Secure Socket Layer) and directly passed through the secured server of SOGENACTIF. Note: if you prefer not to enter your credit card details online, you can opt for "other payment methods" when registering. See the section other payment methods. D) How can I get my wines? Delivery: iDealwine will make sure your wines are delivered in top condition. Your bottles will be packaged securely in polystyrene and placed in a cardboard box. Parcels are protected and insured against shipping risks. In France, iDealwine uses COLISSIMO for standard delivery and CHRONOPOST for express delivery. In Europe, local partners will take over the parcels upon arrival in that country. In Asia and the US, iDealwine has logistics partners who will make sure your wines are handled with care. Are you are thinking about selling part or all you wine collection? iDealwine offers a free estimate service. Fill in the online form or send your list (ideally in Excel or PDF format) by email to vendeur@idealwine.com or by fax to +33 1 56 05 86 11 (don’t forget to mention your contact details). We’ll come back to you with an estimate within no more than 7 days. For very rare or valuable bottles and for all vintages prior to 1990, pictures of the bottles, labels, capsules, cork (if visible) and wine levels will be required so we can fine-tune our estimate and withdraw any counterfeit bottles. Estimates are based on iDealwine listings and the assumption that the wines were stored in good conditions (temperatures between 10 and 14°C, humidity level between 70 and 75%, darkness, etc.). Levels must be in line with the average ullage for the age of the wine. Labels, caps and corks must be in good condition. A large community of 455,000 potential bidders across the world. A powerful system of online auctions that has been in constant evolution for the last 15 years. Secure transactions from IWA Auction, subsidiary of iDealwine, approved by the French Conseil des Ventes. For more information about the different steps to sell your wine, consult the section Sell. All wines must go through iDealwine prior to sale. They will be checked and photographed by our specialists. How can I ship my wines to sell? Bring your wine to our warehouse: You can bring your wine to our warehouse Monday to Friday 9am to 5.30pm. Please make an appointment 48 hours in advance by calling +33 1 56 05 86 10 and send a complete list of the wines you want to sell to info@idealwine.com. A passport or other form of ID is required. Collection by iDealwine or a logistics partner. Send us your list and collection address and we will send you a quote within a few days. Courier transport through our logistics partners or a service of your own choice. Several options from France or abroad: iDealwine can send you special pre-paid and pre-labelled packaging with Colissimo (France only). Delivery fees are at your expense. You may also use an external courier service. In that case we recommend checking they are qualified to transport wine and taking out insurance for the value of the bottles (ad-valorem). Prior to transportation, please provide us with details of the parcel and a packing list so we can check your wines on arrival. Our teams are on hand to help you choose the right solution for you. Costs vary depending on the quantity and value of the bottles you wish to transport and your location. Our teams are on hand to provide you with an estimate. Are my wines insured for transport? If you use our services, all transported goods are insured to their value (ad-valorem insurance). In the event of a transport accident, your wines will be refunded at the median value of the estimate provided (lower and upper ranges). Do I need to use special packaging for transportation? Whatever your chosen mode of transport, the wines must travel in appropriate packaging. If you use Colissimo or iDealwine’s transportation, we provide you with special packaging. In other cases, you will need to source your own packaging (wooden cases or boxes). Upon request, we can provide you with suitable packaging depending on quantities required and your location. How can I be sure my wines have been delivered? As soon as we receive your wines, you will be notified by email. Once we have checked the bottles, you will be sent proof of warehousing by email too. Where is my wine stored before and during the sale? Throughout the different stages of the sale, bottles are stored in our warehouse in a secure and suitable location for wine storage. When estimating your cellar, iDealwine will give you a lower and upper estimate for each lot. Once we have received your wines, our specialists reserve the right to lower the estimate if they do not conform to the initial descriptions or pictures. Your agreement will be required to confirm the new reserve price. Our specialists also reserve the right to refuse lots if they are not deemed to have been kept in a satisfactory condition. How long does it take to have my wines up on sale? As a general rule, if your bottles were warehoused in the first 20 days of the month, they will be auctioned in the following month. However, the date on which your wines are due to be put on sale will be confirmed upon warehousing or the next few days. Can I track my wines on sale in real-time? You can track bidding for each of your items on sale in real-time from your iDealwine account/ My Orders/ Track this lot. How will I be notified of the result of my sale? You will receive an email in the 24 hours following the end of sale, in which details of the results for each sold item will be provided. What happens if some of my wines haven’t sold? If your wines are not purchased during the sale, they will be automatically included in a future sale, at no extra cost. You will receive a new sale order from IWA Auctions. You will then be able to lower the reserve price or divide the lot into multiple lots in order to reach a greater number of buyers while lowering the price of each lot. Can I take back my unsold wines? Once the sale has ended, you can collect your unsold bottles at no extra cost (except for any potential transportation costs). To do so, you must make an appointment with the buying department vendeur@idealwine.com at least 72 hours before the set withdrawal date. How much are the sales costs? Sales costs are 15.60% including tax (13% ex-tax) of the hammer price. What are the due dates and means of payment for the sale? You will receive payment by cheque within 35 days from the date on which the sale was closed. Should you wish to receive payment by bank transfer, you can send your bank details to vendeur@idealwine.com or by fax at +33 1 56 05 86 11. D) In a hurry to sell? Want to opt for an instant cellar sale? If you don’t want to wait for an auction and payment timescales, iDealwine has a simple and quick solution. Once you have received your estimate, tell our sales department that you would like an instant cellar sale proposal. We’ll come back to you shortly with an offer. Payment is made upon receipt and appraisal of the wines. iDealwine is a site for wine connoisseurs and newcomers. Our team is happy to share its passion and as much relevant information as possible (market analyses, trends, cellar management tips etc), so customers can make the right decisions when buying or selling wine. iDealwine offers registered users free access to price listings. Prices are updated weekly and reflect market developments accurately. How are price listings calculated? 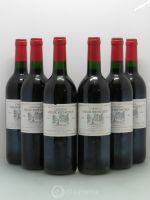 iDealwine keeps records of the results from all auctions held on its own website and by the main French auction houses. These results are updated daily on the platform. Listings correspond to the hammer price plus the buyer’s premium. Note: If you are looking for a wine not included in our database, you can contact our specialist team: vendeur@idealwine.com. B) What information can I find about different wines? To access this section, you must be a member of iDealwine: free registration iDealwine can send you alerts about the availability of particular wines in future sales. With its extensive experience in the fine wines market and position as France's top online wine auctioneer, iDealwine is well-placed to consolidate and publish data for market analysis. This information helps iDealwine customers better understand current sales and anticipate future market trends. WineDex® 100: based on 100 of the most sought-after Bordeaux, Burgundy and Rhône wines. The WineDex® indices have been calculated since 2007. They are updated on a monthly basis and compared with the key French Stock Exchange index, the CAC 40. To guarantee that the indices correctly represent the market, the WineDex® includes the price of 10 vintages for each wine selected. Access the WineDex indices. IDEAL indices. The IDEAL indices reflect market trends for mature vintages. They are based on the most sought-after crus for each region and updated every week. The regional indices are IDEAL Bordeaux®, IDEAL Bourgogne® and IDEAL Rhône®. The tool can be used to select a region, a specific or the most emblematic vintages, and a calculation period (e.g. IDEAL Bourgogne® 1970, trends from 2012 to 2016). Every year, iDealwine publishes an annual report on the wine auction market and outlines prospects for the current year. This report is published on February 1st each year and sent to our Club iDeal members. Find out more about Club iDéal. A) My cellar on iDealwine: iDealwine has developed a cellar management tool in your account, section My cellar. Your cellar is estimated in real-time, so you can track developments over time, compare current prices with your purchase price, etc. Prices are updated on a daily basis and in line with auction results. This service is free for all members of iDealwine. How to create your virtual cellar on iDealwine. Create your virtual cellar by selecting wines from the browser in the "My Cellar" section. If you want to, you can add a price and a date of purchase for each wine selected. The system will automatically calculate the value of your cellar. You can create as many cellars as you like. Enter your current cellar, your fantasy cellar, or a cellar of wines that particularly interest you and that you want to track. In this section you can also manage, change or delete your alerts. This service is free to iDealwine members. Whether you are a wine connoisseur or newly initiated, iDealwine is happy to share its passion and take you on a foray into the world of fine wines. A summary of the key vintages in the main producing regions. Access the section Vintage guide. Delivery: iDealwine makes sure your wines are delivered in the best conditions. Your bottles are packaged in a suitable, secure and insulated polystyrene box, placed in a cardboard box, and protected and insured against shipping risks. Commission : At auction, a buyer’s premium of 21.6% including tax (18% ex-tax) has to be added to the final bidding price. At fixed-price sales, all prices indicated are inclusive of tax and you do not have to pay any extra commission. At fixed-price sales, all prices indicated are inclusive of VAT and you won’t have to pay any extra-commission. Compliance and change to a lot: iDealwine guarantees that products conform to their website descriptions (label, levels, etc). 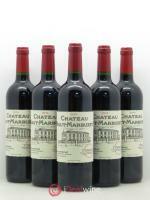 Lots auctioned on iDealwine are guaranteed by the auctioneer, legal and certified officers and the wine expert. If for any reason a change is made to the description of a lot already on sale, all bids placed on this lot will be cancelled and bidders will receive an email informing them. Those wishing to bid on the modified lot must place another bid. Secured payment: Payments made on iDealwine are entirely secured. For all payments by credit card, iDealwine uses the secured payment solution developed by Société Générale: SOGENACTIF. iDealwine does not retain any information on its customers&apos; credit cards. All data are encrypted with the SSL protocole (Secure Socket Layer) and directly passed through the secured server of SOGENACTIF. iDealwine's best customers enjoy iDealwine's Loyalty Programme. When you purchase wine in the fixed-price sales*, you will accumulate vouchers which will be valid for one year. To enjoy iDealwine's loyalty programme, you have to be either a Privilege Customer (purchases over €1,500 over the last 12 months) or a iDealwine Club member (over €4,000). The statuses are revised every six months in order to welcome new customers and are valid for 6 months. *iDealwine's Loyalty Programme offers discount vouchers on wines purchased in fixed-price sales on multi lot. It only applies to wines purchased directly from our partner domains with recoverable VAT. If the wine fulfils the above conditions and if you are a Privilege Customer or an iDealwine Club member, you will see the discount percentage beneath the BUY button on the description page of the wine. You have to be logged in, to see the available discount percentage of the lots. The referral programme is our way of thanking you for recommending us to your friends and is designed to reward both you and the people you refer. In order to benefit from this scheme, all we ask is that you have previously shopped or bid with us before. To refer a friend simply log in to your account and head to the &apos;My iDealwine&apos; section of the website. You&apos;ll get a voucher worth €25 whenever a friend you refer spends €150 or more with us on their first purchase. When registered, your friend will get one too worth €25! In order to redeem your discount, simply provide the code you’ll receive via email at the checkout stage. The discount will then be automatically deducted from your bill. Anyone you refer must have a different postal address and surname to your own. In cases of misuse, iDealwine reserves the right to cancel any referral. Order pick up and wine drop off can be organised by prior arrangement. Please contact us before visiting. Why can I not connect to my account? - Usernames are case and space sensitive so be sure to respect any upper-case or lower-case letters and spaces you may have used when creating your account. - Note that your username is not necessarily your email address. - If you wish to change your username, please contact customer service. - Provide a username that is a pseudonym (for confidentiality reasons, it is advised to not use your first and last name when bidding). - A valid email address (a confirmation email will be sent to this address). - A password of at least 8 characters containing at least 1 number and 1 letter. For standard delivery, please allow 2 to 5 working days for deliveries within France and 3 to 7 working days for deliveries within Europe. For express delivery, please allow 1 to 2 working days within France and 2 to 5 working days within Europe. How do I cancel my order in a fixed-price sale? The wines that you order in fixed-price sales will appear in the "My current orders" section of your My iDealwine account. Be sure to check that you have selected the right wines and the right quantity. You can modify these orders at any time in the duration of the fixed-price sale. When the sale closes your invoice will be created. Any modifications or cancellations after the close of the sale must be requested, please send an email to info@idealwine.com or call +33 1 56 05 86 10. I have received the wrong wines? If you have received the wrong wines, please contact customer service by email to info@idealwine.com or call +33 1 56 05 86 10. We will resolve this issue as quickly as possible. I have placed an order but won't be at home to receive delivery? Not to worry, you can put your order on hold. Your wines won't be dispatched until you pay. NB : Once you have paid for your order and the shipping costs we cannot delay preparation and shipment. I have provided the wrong delivery address? Please ensure that you have provided us with the correct delivery address. If you do realise that you have provided the wrong address and let us know early on we can do our best to halt delivery. However, if the order is already prepared or has already been dispatched and you do not inform us, the courier will return your order to us and we will charge you for the delivery fees. If you have requested to collect your parcel but decide that you would prefer delivery, please contact customer service by email to info@idealwine.com or call +33 1 56 05 86 10, to organise payment of delivery fees. Can I group my orders and have them delivered all at once? To reduce the average delivery fee or collect your bottles in one go, combine your orders and store your wine for free in our warehouse for up to 30 days. You’ll be charged €0.035 per day and per bottle after this time. You can then place orders in other sales and collect or ship them all together once the required amount of bottles has been reached. Please note: you will still have to pay for your wines at the end of each sale. Simply select "Pay and wait to combine with future orders". iDealwine offers free storage for your wines for 30 days in order to simplify and optimize your orders. Thereafter, a fee will be charged of 0.035 euros (including VAT) per day and per bottle.